Oaktree's stock is down around 13 percent in the last five years, even after a price bump on Wednesday following the deal's announcement. By comparison, the S&P 500 Index is up more than 50 percent over the period and Blackstone's share price is up 4 percent. Oaktree is the second U.S. alternative-asset manager to sell itself in recent years, since Fortress Investment Group agreed to be acquired by Japan's SoftBank Group Corp for about $3.3 billion in 2017. 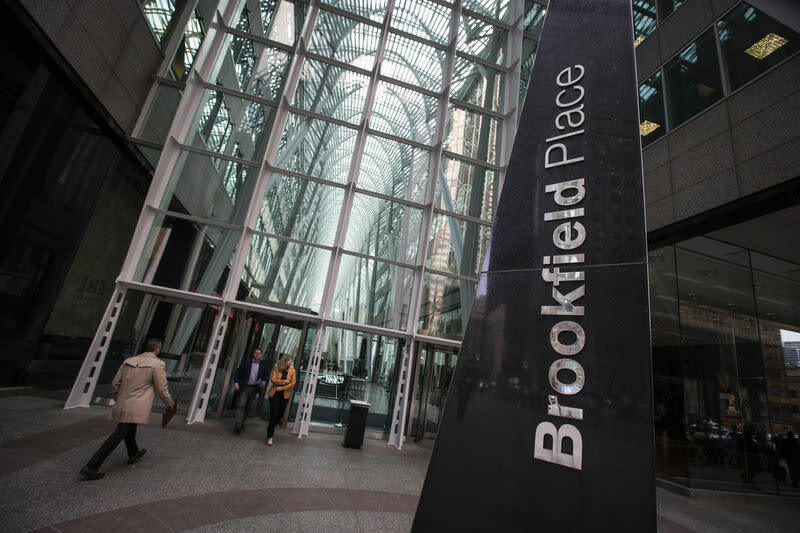 The deal is a bet by Brookfield, which currently focuses on private equity, real estate, infrastructure and renewable power, on the prospects for investing in debt, which makes up around 70 percent of Oaktree's assets under management. "This transaction enables us to broaden our product offering to include one of the finest credit platforms in the world, which has a value-driven, contrarian investment style, consistent with ours," Brookfield Chief Executive Bruce Flatt said in a statement. Industry leader Blackstone had $472 billion in assets under management at the end of 2018, though this does not include debt. Including debt, Blackstone's assets under management would be at least $650 billion, a firm spokesman said. The offer is a premium of 12.4 percent per Oaktree Class A unit to Tuesday's closing price, Brookfield said in a statement. The stock was up 12.2 percent in mid-afternoon trade. Both companies will continue to operate as independent businesses, while Marks, Oaktree's co-chairman, would join Brookfield's board of directors.